Access to funding for small enterprises in less economically developed and newly industrialized countries is extremely limited. Banks often charge large interest premiums and use inappropriate loan assessment criteria for businesses in such localities. Traditional venture capital organizations often employ stringent criteria, which are rarely met by small organizations. After recognizing the opportunity for such entities to connect with a growing currency system, Geneviève has brought cryptocurrency to small businesses and their communities in the form of Geneviève Exchange (GXE) and Geneviève VC (GXVC). Access to funding for small enterprises in less economically developed and newly industrialized countries is extremely limited. Banks often charge large interest premiums and use inappropriate loan assessment criteria for businesses in such localities. Traditional venture capital organizations often employ stringent criteria, which are rarely met by small organizations. 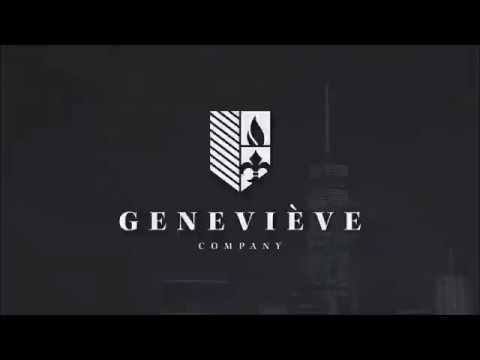 After recognizing the opportunity for such entities to connect with a growing currency system, Geneviève has brought cryptocurrency to small businesses and their communities in the form of Geneviève VC (GXVC). GXVC is a venture capital cryptocurrency that offers exposure of the underlying venture equity to its token holders. Token sale proceeds are injected as seed capital in to small businesses. Investment ventures are selected democratically from a shortlist by token holders through Geneviève’s DAO. Furthermore, the holders are offered legal and economic rights pertaining to underlying ventures investments. Investment returns are proportionally distributed quarterly to all token holders as dividends. In early January, Geneviève signed an agreement with the Ivory Coast’s Chamber of Commerce and the Trade and SME Ministry, forming a partnership with the African state. Using Blockchain technology, Geneviève seeks to find positive synergies with the Ivory Coast to facilitate and catalyze foreign investment; a capital injection into small businesses in such localities will further economic growth and development. The project seeks to increase local employment by creating jobs and running training programs to equip local citizens with skills and expertise to succeed. Geneviève is seeking to invest USD 2 million into 150 small businesses across the African state in 2018. Investment growth of underlying ventures, coupled with a limited token supply, will result in valuation premiums, furthering Geneviève’s investment capacity. Dividend returns from ventures will facilitate token buybacks, reducing the supply, further inflating the price. As Geneviève’s investment capacity increases, distributed dividends to GXVC holders will proportionally increase. This will further increase demand for GXVC. Such economics will offer lucrative investment returns to all GXVC token holders. Geneviève will launch a token sale on January 20th, 2018, offering 62.5% of GXVC, priced at $0.10/GXVC; 34.5% of GXVC will be reserved for early-stage GXE investors who partook in the pre-sale. Geneviève VC is an ERC223 standard token with a total supply of 160,000,000, of which, 3 % will be retained by the team. All GXVC attained through the token swap will remain locked until the completion of the sale. Geneviève will be the first to lawfully tokenize ventures before listing them on its own signature token exchange platform in partnership with the West African stock exchange, BRVM. Moreover, in line with Geneviève’s Entrepreneur Bootcamp program, the VC firm is launching Africa’s first crypto-development school in the Ivory Coast in partnership with VSchool and Rootstock, with academic branches in the fields of law, finance and marketing. Further to creating employment opportunities, Geneviève is investing in human potential by equipping its students-entrepreneurs with the necessary skills needed to boost and increase the success of the ventures. Small businesses. Local economies. Positive synergies. Make your money work. Join the movement.